Royal Dornoch Golf Club is just a short 20 minute drive from the Hotel. 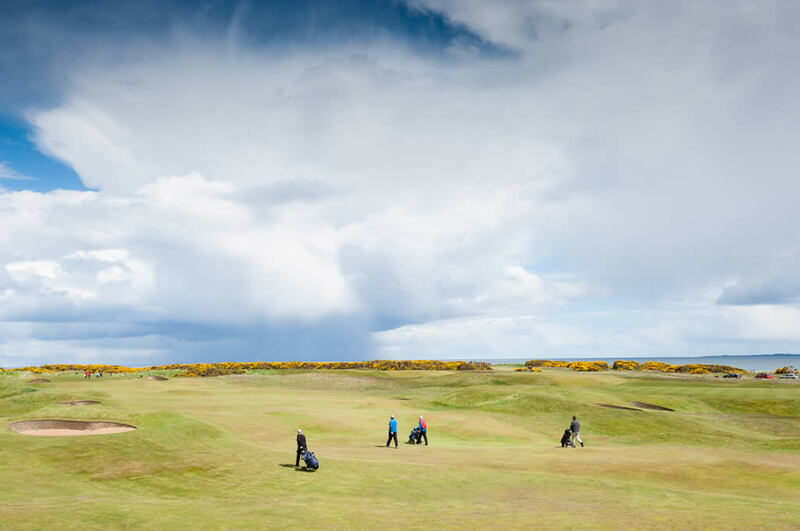 There are spectacular panoramic views over the Dornoch Firth, Sutherland and Ross-shire hills, providing a perfect backdrop for Royal Dornoch's location. Formed in 1877, Dornoch has been a Royal club for over 100 years, the Royal title meaning exceptional standards. Nos 7 through to 11. The opening hole at Royal Dornoch, a simple par 4, is no indication of the joy -and trouble - to come. It is not until golfers walk over the headlands to the third tee that they get a sense of this striking golf course. Wondrous swards of fair way and green, with clusters of players dotting the beach-front, unfold a mile in each direction. The embankments of the old dunes on the landward side of the course, from late April until early June, are a carpet of flaming yellow gorse. The course is just over 6,500 yards, but this is no reflection on the degree of difficulty to be found on many holes. 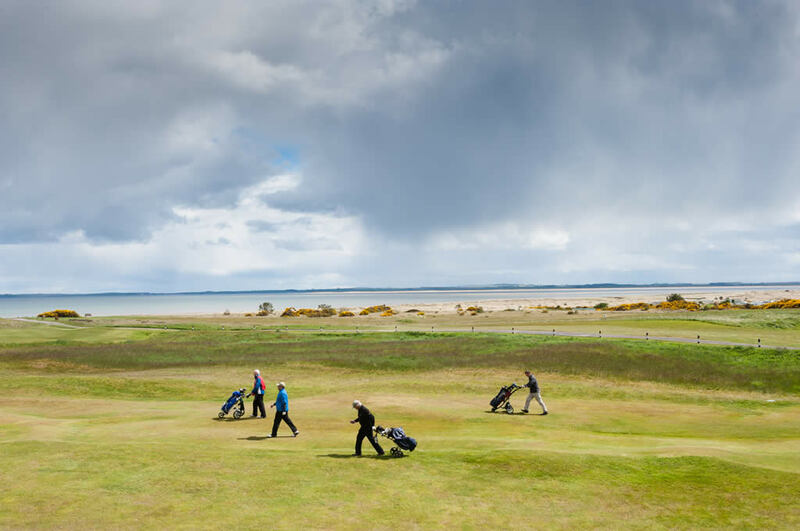 It is classic links with the first 8 holes following the natural slants and humps of old dune embankments while the rest flank the sandy beaches of Dornoch Bay. Raised or sloping greens are characteristic as well as elevated tees so the target is well presented, although rarely easy to reach. 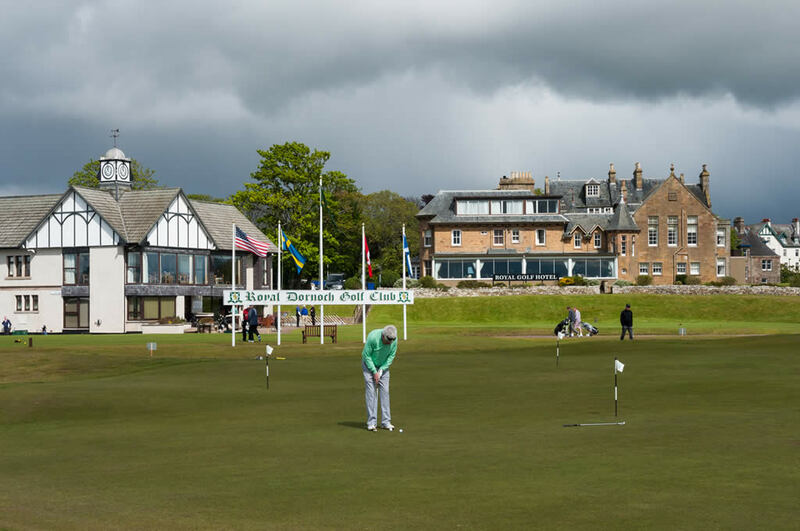 Dornoch, perhaps more than most, is a thinking golfer's course where it is not enough to simply keep the ball on the fairway. A position has to be sought on most holes where the green can be accessed to your advantage.